AUGUSTA, Ga. – American voters will watch the top 10 Republican presidential candidates face off in the first GOP debate at 9 p.m. Thursday on Fox News, with the remaining candidates debating four hours earlier also on Fox News. Dr. Craig Albert, assistant professor of political science at Georgia Regents University, teaches courses on American politics, political philosophy, war and terrorism; he also directs the Model United Nations Program. In a new video, he discusses why Republicans have so many candidates and weighs in on why Donald Trump is a problem for the GOP. As a leading scholar in American politics and foreign affairs, Albert’s research interests include Islamic extremism and the rise of ISIS, the Russo-Chechen conflict and the life and work of French political thinker Alexis de Tocqueville. Albert is also a political contributor to The Augusta Chronicle and a blogger for ROAR: Renaissance for American Responsibility. He’s done interviews with many different media outlets, including a live interview with Megyn Kelly for Fox News Channel about the Boston Marathon bombers. 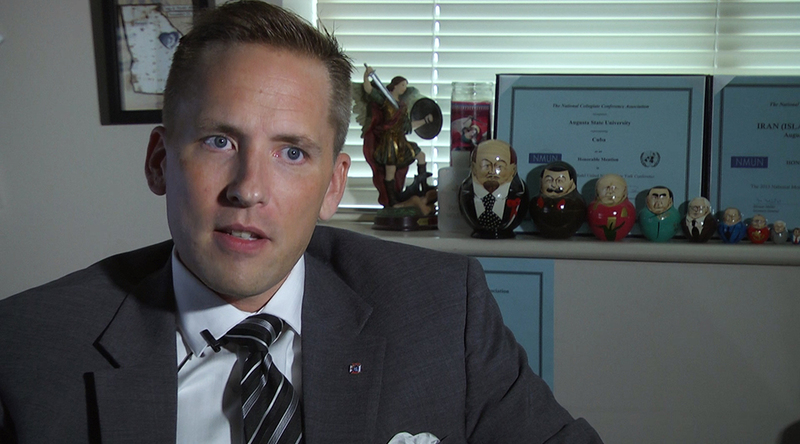 He has also testified to the U.S. Congress on Islamic Extremism. Nurse Clinician Barbara Kienzle in pediatric rheumatology at Children’s Hospital of Georgia explains how juvenile arthritis affects the body’s joints. Nearly 300,000 children in America have been diagnosed with juvenile arthritis, according to the Arthritis National Research Foundation. 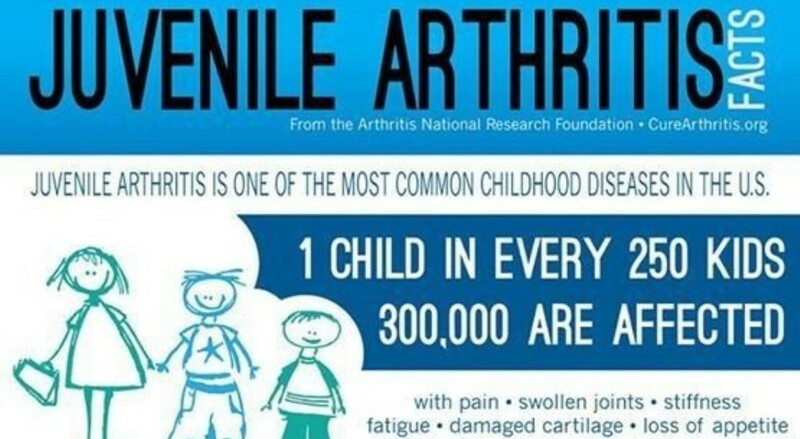 July is Juvenile Arthritis Awareness Month. Testimony concluded on Monday in the appeal hearing regarding Georgia Regents Medical Center’s certificate of need to build a hospital in Columbia County. The following is a letter from Shawn P. Vincent, Sr., GRU’s Vice President of Partnerships, International Healthcare, and Strategic Affiliations regarding the hearing’s conclusion. The appeals hearing regarding the Department of Community Health awarding a certificate of need to Georgia Regents Medical Center to build a 100-bed hospital in Columbia County concluded yesterday. These hearings gave us another opportunity to emphasize the uniqueness of our proposal. Our plan includes a state of the art, high touch and high tech community hospital which meets the health and wellness needs of Columbia County and the surrounding communities. In collaboration with the County, we worked to identify Grovetown as the ideal location as it meets the current and projected growth needs of the community. Our expertise in trauma and teaching are cornerstones to our vision. After presenting a compelling case, we remain confident in our efforts and in the Department of Community Health’s CON process. I’d like to take this opportunity to thank you again for your continued support. This entire process would not have been possible without our faculty, staff and community involvement. 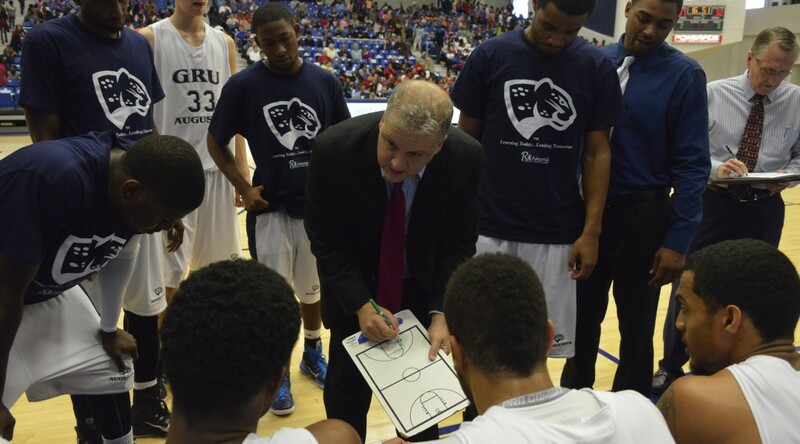 GRU Augusta head men’s basketball coach Dip Metress signed seven student-athletes for the upcoming 2015-16 season and gained six true freshman and one senior to compete for the Jaguars in the upcoming slate. The Jaguars added freshmen Jashawn Brooks, Aaron Byrd, Trey Maloney, Tyvez Monroe, Ben Ursich, Deane Williams, and senior Tommy Williams. Jashawn Brooks is a local standout from Laney High School in Augusta, Ga., where he helped lead the Wildcats to a 29-2 campaign that included a region title and a third consecutive state semifinal appearance. As a senior in 2014-15, Brooks sunk 52 3-pointers in 31 games, including 11 in four state playoff contests. Aaron Byrd averaged 22.1 points as a starting point guard at Landon High School in Bethseda, Md., in the 2014-15 season. Byrd was named an All-Met honorable mention by DC Basketball in Washington, D.C. for his senior-season efforts. He joins 15 of his fellow Landon HS seniors to sign and commit to playing college athletics in 2015-16. Trey Maloney is a 6-6 left-handed forward from Fort Lauderdale, Fla., who aided his Dillard High School team to a 23-8 record while averaging 8.2 points per game as a senior in 2014-15. Maloney carried the Panthers to the FHSAA 5A Tournament playoffs last season and reached the Sweet 16. Tyvez Monroe is a 6-3 wing who posted 16.5 points per game for his Edison High School team in Alexandria, Va. Monroe brought the Eagles to a 19-6 overall record and a 7-4 mark in the region in his senior season. Monroe was named first-team All-Virginia Conference 13 in 2015. Ben Ursich is a versatile player who played for The Kilsyth and Mountain District Basketball Association Inc. (K&MDBA) in Victoria, Australia, the largest basketball association in Victoria with over 1,050 teams. Ursich brought down 15.7 points per game in 2014-15 and shot 47 percent from the field and 42 percent from three-point land. 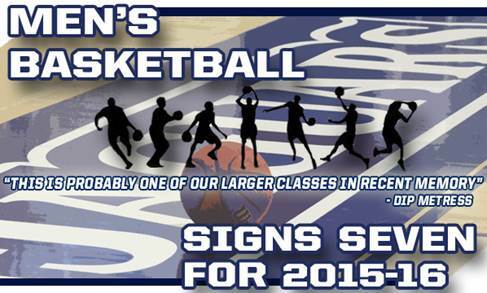 Deane Williams will also travel overseas to play for the Jaguars in 2015-16. Williams played for the Bristol Academy Flyers Basketball Club in Bristol, England. The 6-7 forward averaged 12.3 rebounds per game last season and is currently playing for the English U20 National Team in the Euro World Championships. Tommy Williams graduated from Richmond Academy in Augusta, Ga., where he made a state semifinal appearance in 2011. After starting his college career at East Georgia State College and most recently at East Tennessee State University, Williams will return home and conclude his career in Augusta for his senior year. Williams will look to make an early impact in the front court. Natalie Lane, Medical Director of the emergency department at Children’s Hospital of Georgia, was recently featured in a U.S. News and World Report article about pool safety. The NCAA announced major rule changes on Monday that quicken the pace of men’s college basketball games. Click here to watch Metress talk about the recent changes with WJBF’s Matt Zahn. Drew Belt, part-time golf coach at Georgia Regents University, was recently featured in the Columbia County News Times to talk about his ideas on the three fundamentals of golf. Belt, who has taught at the Nick Faldo Golf Institute, Jones Creek, and Sage Valley, has been teaching golf for 14 years. He is currently the West Lake Country Club golf pro. Read the full Columbia County News Times story here. Georgia Regents University is creating the GRU Cyber Institute to develop research, new curriculum, and outreach opportunities in cybersecurity starting this summer. 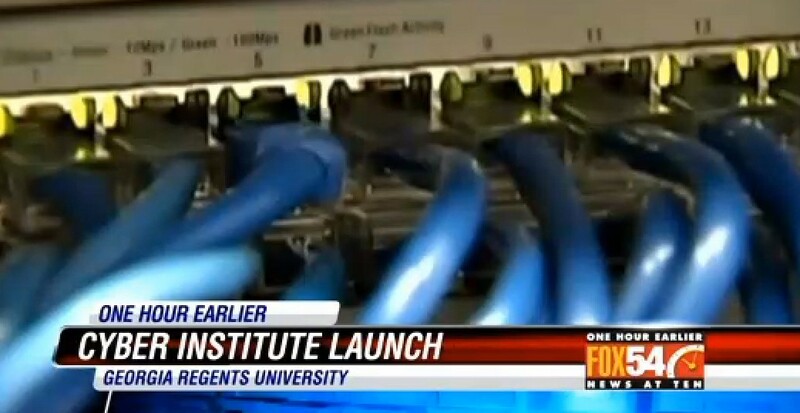 GRU has been working toward creating the Cyber Institute for a few years and has already established a cyber curriculum, said Gretchen Caughman, Executive Vice President for Academic Affairs and Provost . The news that Fort Gordon would become the new headquarters for the U.S. Army Cyber Command only accelerated the process. The creation of the institute is also a step toward getting recognition as a Department of Homeland Security and National Security Agency National Center of Academic Excellence in Information Assurance/Cyber Defense. U.S. Congressman Lynn Westmoreland also endorsed GRU’s efforts. The Cyber Institute will provide the framework for all things cyber at the university, in cooperation with several of GRU’s colleges, which currently offer cybersecurity courses and degrees. They include cybersecurity programs through the Hull College of Business, a medical informatics program focused on protection of health information through the College of Allied Health Sciences, and courses on cyberterrorism through the Pamplin College of Arts, Humanities, and Social Sciences. To watch this story on WFXG Fox 54, click here. Dr. Dennis Murray, Chief of Infectious Diseases at the Children’s Hospital of Georgia, spoke with Augusta Magazine recently regarding measles outbreaks in the United States. 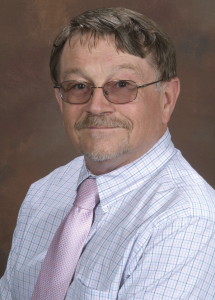 Murray, a University of Michigan Medical School graduate, has been Chair of the American Academy of Pediatrics Section on Infectious Diseases since 2010. 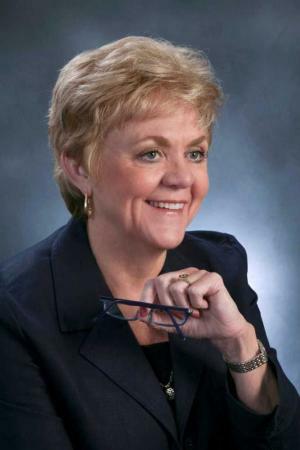 Dr. Cindi Chance, Dean of the College of Education at Georgia Regents University. Cindi Chance, Dean of the College of Education, spoke with WSAV in Savannah about the new evaluation system universities in Georgia will begin using to measure the quality of Teacher-prep programs. Click here to watch her interview. Chance regarding the new evaluation system was featured in The Augusta Chronicle and the Athens Banner-Herald.